Mermaid games and a swimming pool - what combination could be better. My 5 year old granddaughter helped plan our summer Mermaid Pool Party. Her favorite games were the Mermaid Parade and the Trinket Dive. Our granddaughters help make tropical fish from paper plates. They painted the plates pink and purple. We stapled a fish tail made from strips of pink and purple tissue paper and then placed the fish on a painted dowel with streamers made from the tissue paper and purple ribbon. Each mermaid guest is given their own tropical fish to carry - pink and purple for the girls and deep blue for the boys. The first activity for the mermaid party is the parade. Download the music from the Little Mermaid onto your iPod. Using a portable ipod speaker, play the music Under the Sea while the guests parade around the pool until the song is finished. 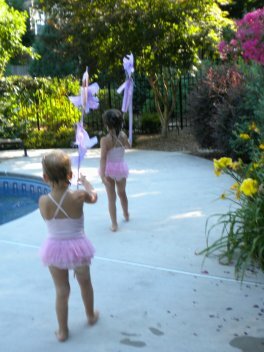 Our girls loved dancing around the pool. At the end of the song, the guests put down their tropical fish and line up by the edge of the pool or the diving board. One at a time have the kids jump into the pool as you yell "Mermaid Splash." 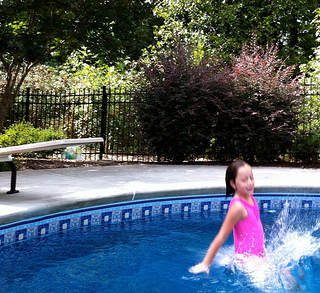 Have the kids swim to the other end or side of the pool. Dive games make for the best mermaid games. 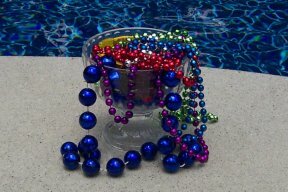 For kids old enough to swim underwater, scatter "trinkets" on the pool bottom. The depth of the trinkets will depend on the ability and age of the swimmers. Some of Ariel's favorite trinkets are spoons and jewelry. Use colored plastic spoons, plastic necklaces, bracelets or rings from the Dollar Store. Each swimmer needs to gather as many trinkets as she can in one breath. Let the swimmer keep whatever trinkets she was able to gather. If the kids are older drop just enough trinkets for that person to take home. Then drop some more for the next swimmer. We have a large shallow end in our pool. So if you have enough shallow end space, have the kids form a circle where each child can touch the bottom. 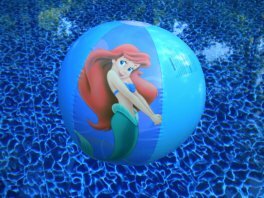 Using a Little Mermaid beach ball (I found mine at our Dollar Store) have the kids pass the ball to the person next to them while playing Poor Unfortunate Souls from the Disney Little Mermaid soundtrack. Have a person in charge of the music,(I use a portable iPod speaker). Every 20-30 seconds, pause the music. Whoever is holding the beach ball when the music stops is out of the game and goes to sit on the side of the pool. The last person left is the winner! This is a good game for kids who aren't great swimmers - it can be played in or out of the pool. In this Mermaid swimming pool game, the Little Mermaid is "lost at sea" and must be rescued from the sharks that are surrounding her. I found these princess swim rings at The Dollar Store and then placed a floating Ariel in the center of the ring. The colorful blow up fish are from Oriental Trading. 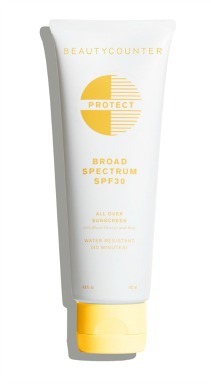 Place her in the deep end of the pool or at a distance that's safe for your swimming guests. Each guest takes a turn to rescue Ariel and bring her home to safety without touching the "sharks." Provide Ariel Swim Rings to your players and 3-4 at a time have them cross to the other side of the pool. I was lucky enough to find our swim rings at the dollar store. Meanwhile one or two of the adults are in the pool as Flotsam and Jetsam. The first group of swimmers try to cross the pool with out getting tagged by one of these nasty eels. Depending on how many kids, give the swim rings to the second group and have them cross the "eel infested" "blue seas". Kids love to use these weighted spring hoops for any kind of game. 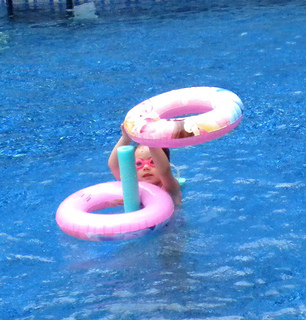 We used fish dive toys and threw them in and around the dive hoops. Each guest just takes a turn swimming through the hoops and gather up Flounder and his friends. Everyone wants to play and play this game more than once. 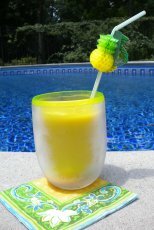 There are lots of fun swimming pool games to play with the use of swimming pool noodles. Each swimmer takes a turn swimming out to the floating noodle (just stick it inside a swim ring) and place another swim ring on top of it. Then take it off and swim back to your team and have the next team member repeat it. 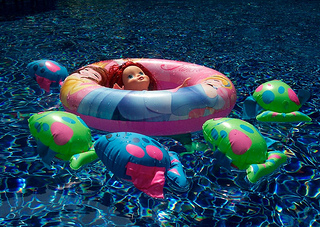 Have your little mermaids look for friendly seahorses that sit upright on the bottom of the pool. Have at least 12 little seahorses on the bottom of the pool. As you can see there are 4 different colors. Depending on how many kids are at the party, you could also put them into two teams. One team dives for the blue and yellow mermaids and the other team dives for the pink and green ones. The team with the most seahorses wins. Little girls love diving for Disney princesses. 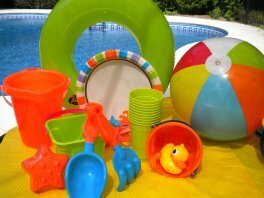 Depending on the swimming ability of the guests throw one or all three dive toys at a depth that is comfortable for your swimmers. 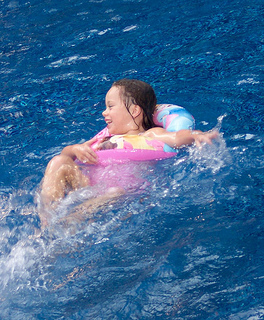 Even the smaller kids can have fun getting them from the pool steps or shallow water. 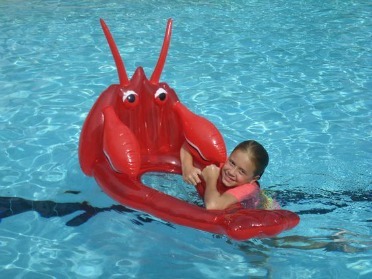 Use fun pool floats, like this lobster float for kids pool party games. 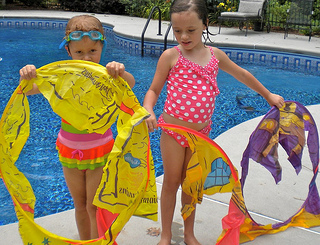 This fun inflatable sea creature coils up and provides lots of opportunity for creative fun. It's flexible and can be pulled in lots of different ways but will coil back to its original shape. At 15' long there is lots of room for multiple kids playing on it at one time. 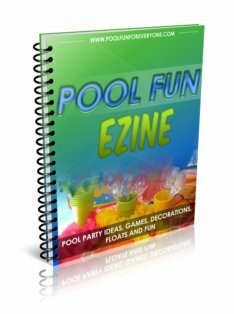 Made of heavy plastic it will provide lots of fun through out the summer - not just for your mermaid party.